Not the first dry white pedro ximenez wine I have had but there have not been many. This was the first wine of a quite fantastic lunch with Javier Noval of Alvear and in the heat of Madrid was a top start. I am convinced that, just like Jerez and its creams and mediums, the dry wines of Montilla Moriles are victims of the phenomenal success of their sweet pedro ximenez. In fact even more so, because the very name of the grape has become synonymous with the sweet wine. But so much more is possible with pedro ximenez and it strikes me that a straight dry table wine should be an important part of any bodega’s armoury. Alvear are in fact leading the charge, and with the help of Alfonso Torrente of Envinate will soon be releasing some parcel specific wines under the name “Tres Miradas” – a cordobes homage to the Pitijopos. This is not one of those wines, but rather the reboot of a classic label and it is a fesh and enjoyable wine. 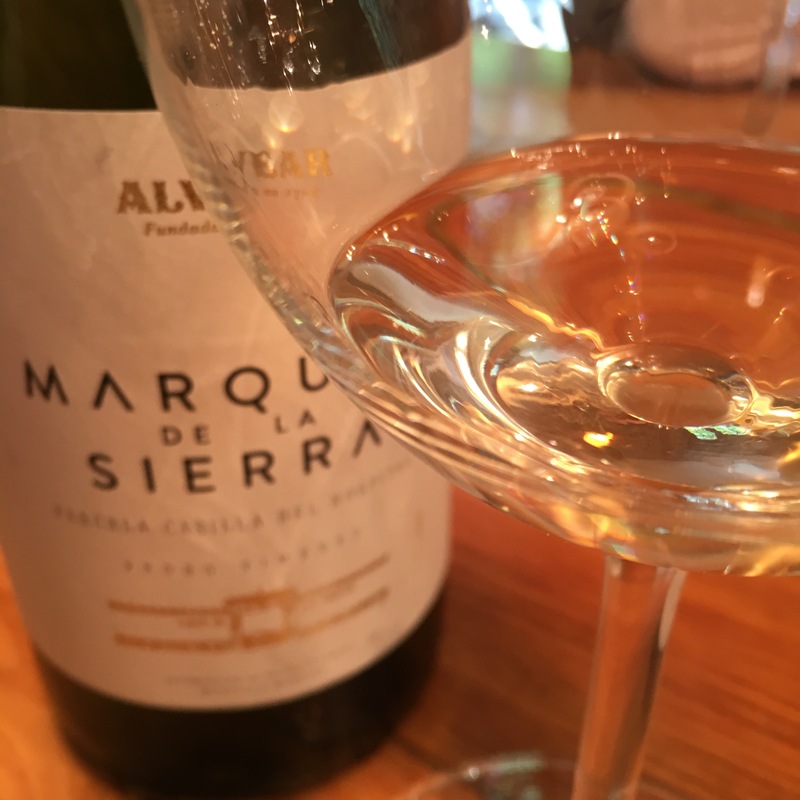 Dry but has a citrus, floral sweetness of flavour and some nice minerals and green leaves and – a great shout by Javier – some fennel flavours. Very nice thirst quenching stuff – and as far from the popular image of a pedro ximenez as you can get.